Misplace your keys often? 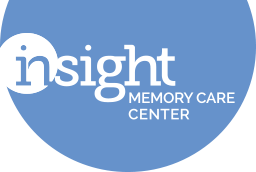 Do you ever wonder if a memory lapse is something more? 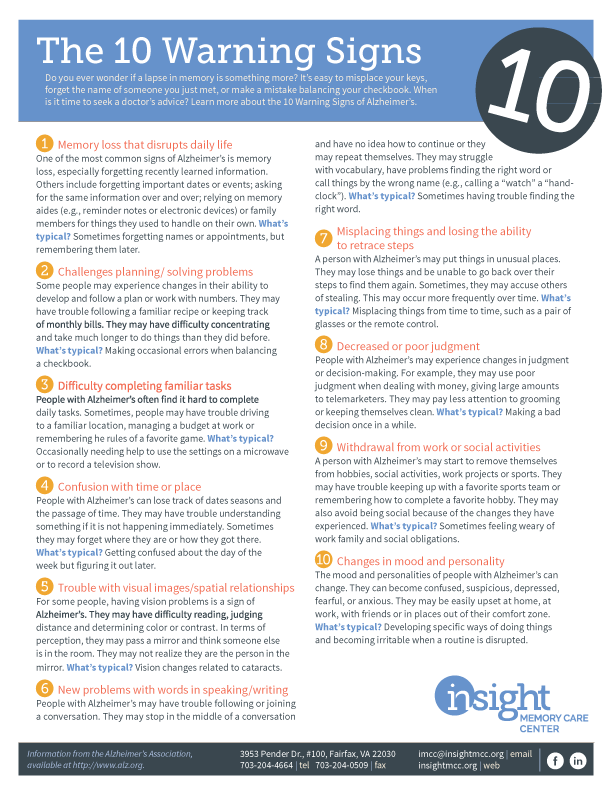 Learn more about the 10 warning signs of Alzheimer's. 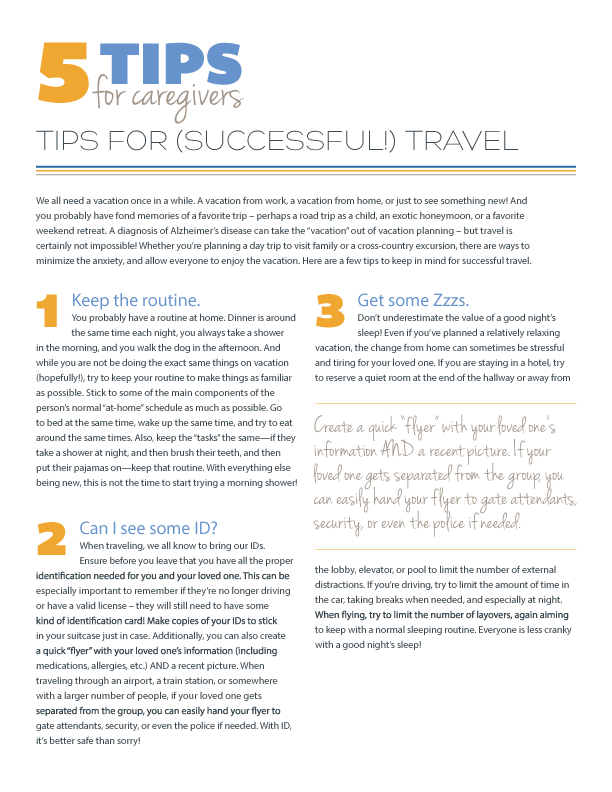 Whether you’re planning a day trip to visit family or a cross-country excursion, there are ways to minimize the anxiety, and allow everyone to enjoy the vacation. 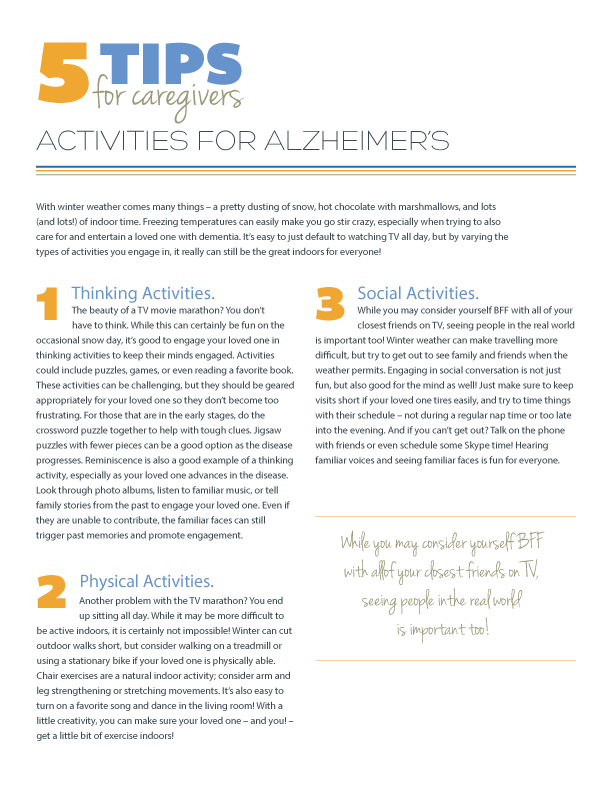 It’s easy to just default to watching TV all day, but by varying the types of activities you engage in, it really can still be the great indoors for everyone! 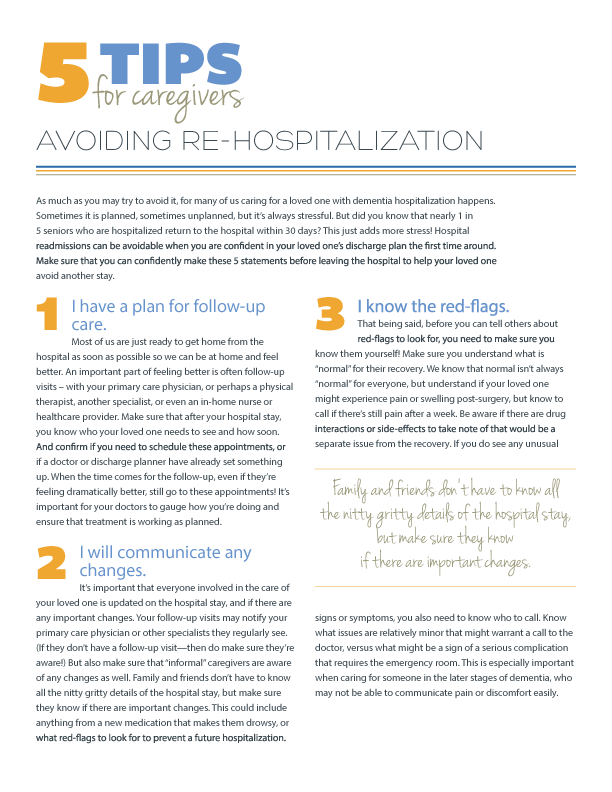 Make sure that you can confidently make these 5 statements before leaving the hospital to help your loved one avoid another stay. Resolutions can be a great way to start off the New Year when you can keep them! 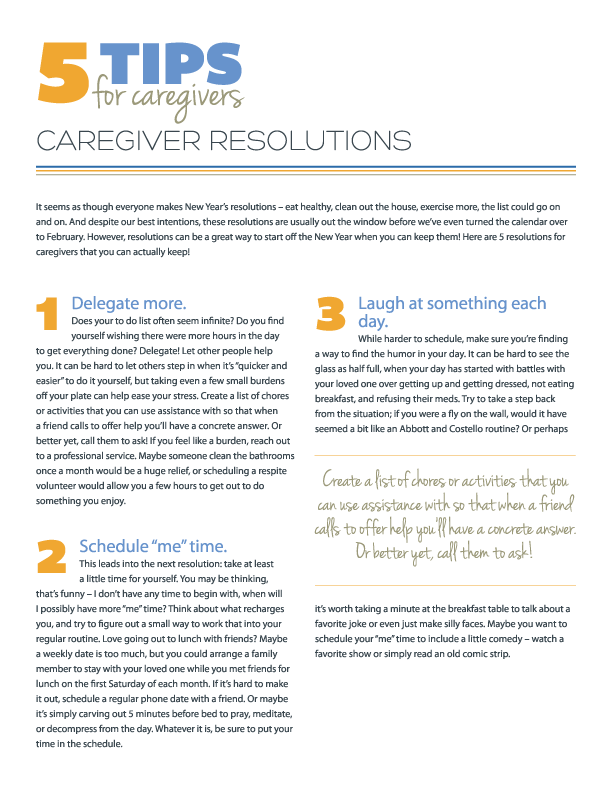 Here are 5 resolutions for caregivers that you can actually keep. 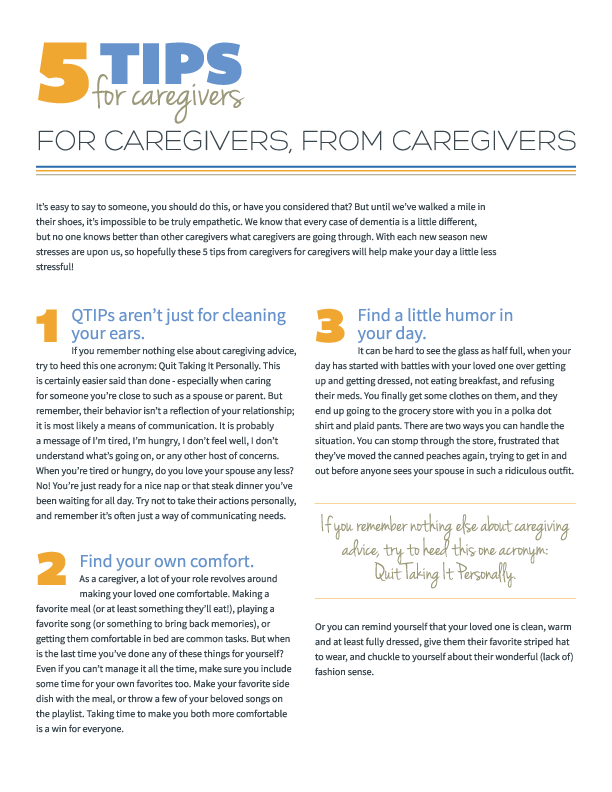 We know that every case of dementia is a little different, but no one knows better than other caregivers what caregivers are going through. Considering a 24/7 facility is always hard. 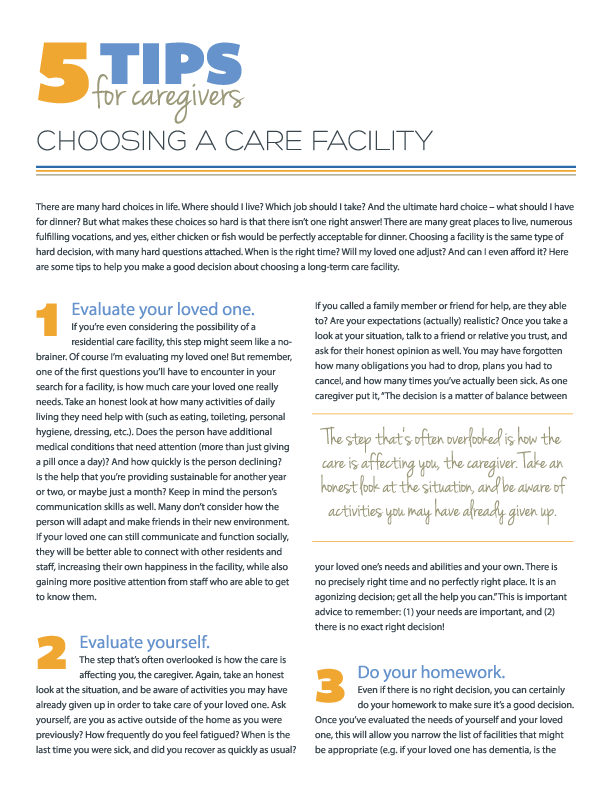 Here are some tips to help you make a good decision about choosing a long-term care facility. 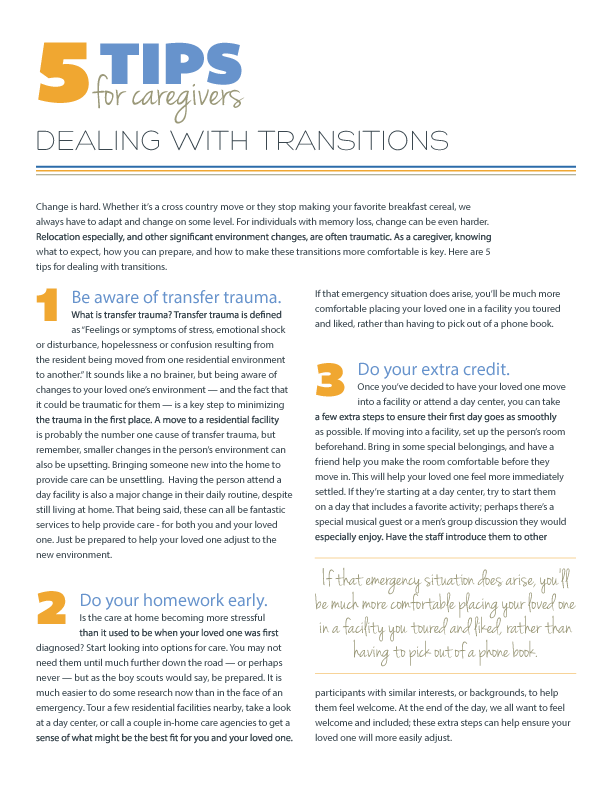 As a caregiver, knowing what to expect, how you can prepare, and how to make these transitions more comfortable is key. 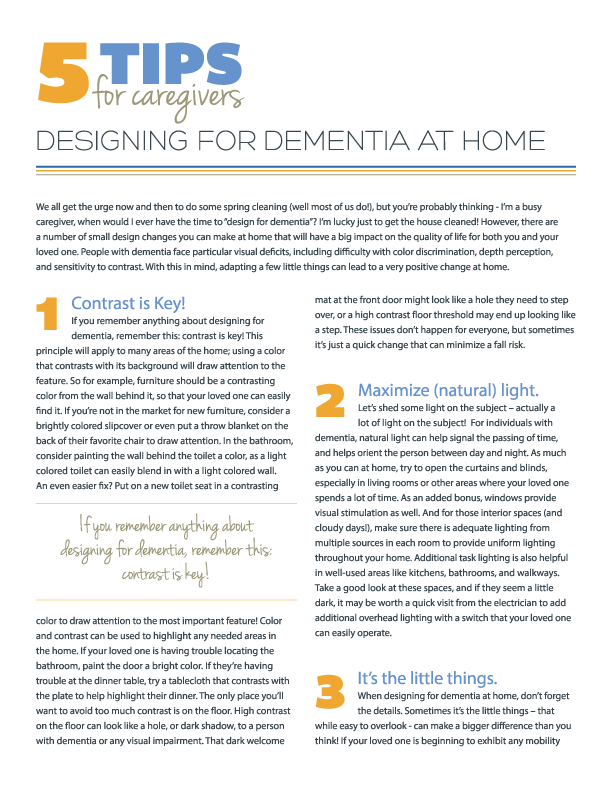 There are a number of small design changes you can make at home that will have a big impact on the quality of life for both you and your loved one.